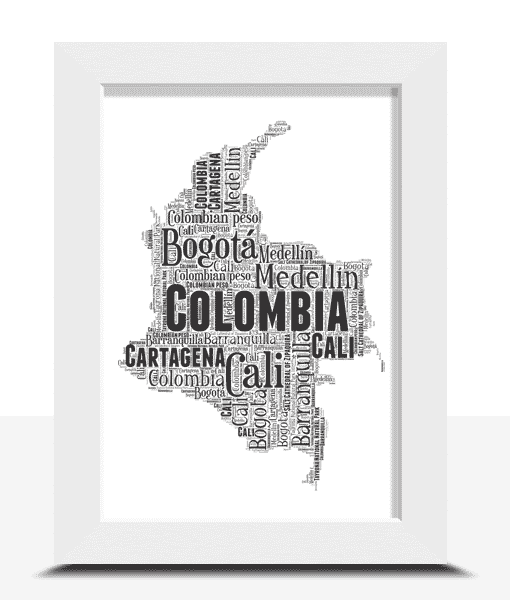 Personalise this Colombia Word Art Print with all your own words. 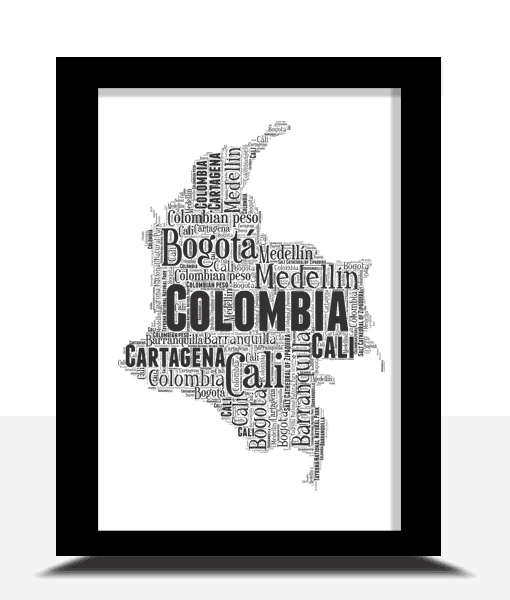 Personalise this Colombia Map Word Art Print with all your own words. 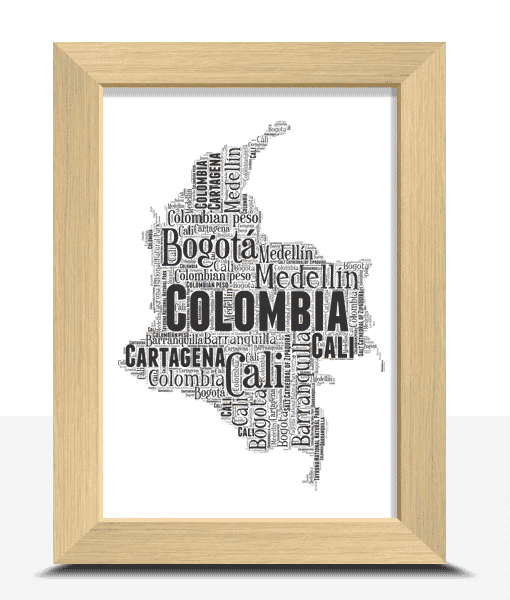 You can personalised this Colombia map with any words you want. Every print will be personalised just for you. Each wordart print will include words of your own choice. Any words can be used. You can also include names, places & dates etc. 1. Select the print size you want. 2. Select the style of frame you want. 3. 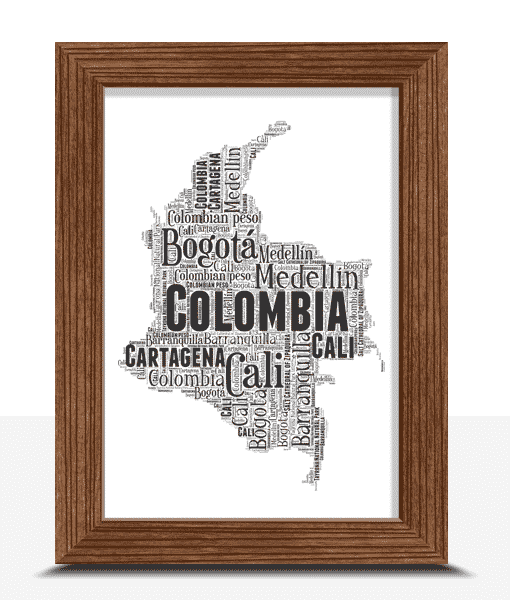 Choose 10 – 20 words to create your word art print. 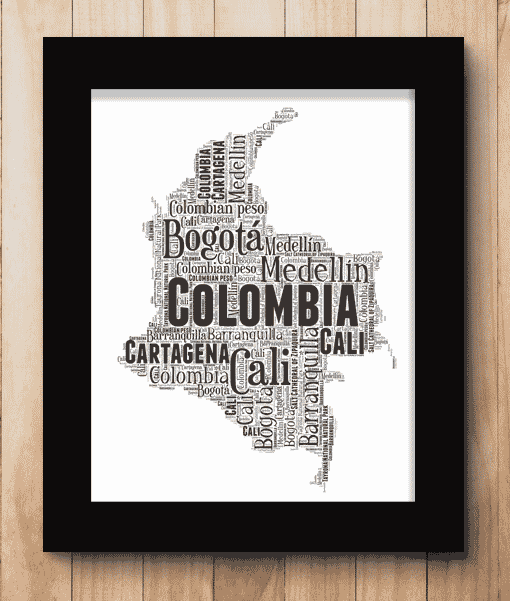 Colombian, Republic Of Colombia, Popayan, San Agustin, Bogota, Cartagena, Tayrona National Park, Coffee, Oro, Salsa.